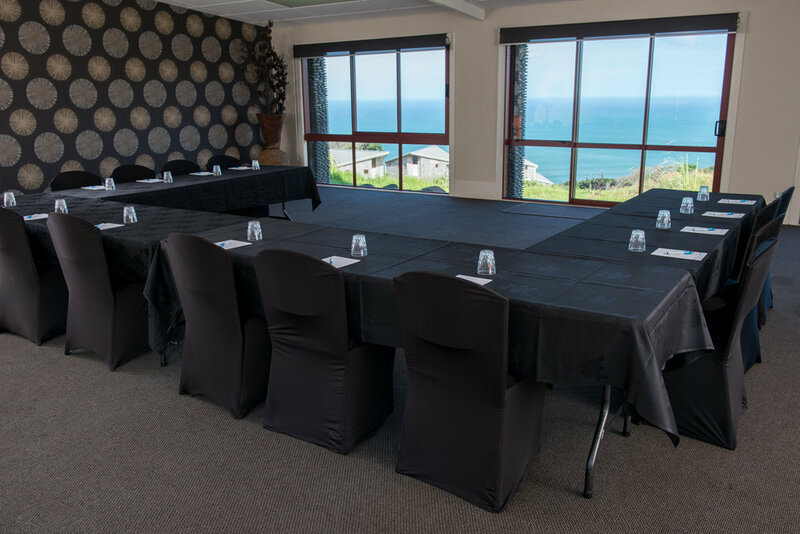 Ideal for large groups of up to 120, with a variety of set up options, The Main Cliff Top Venue boasts panoramic ocean views and features a cliff top lawn area perfect for team building activities or pre-dinner mix’n’mingles. The separate glass enclosed deck is ideal for private dining, as a break out area, or fabulous as a dancing space in the evening. Located at the highest point of the resort, The Tasman Room offers a sense of seclusion and is set among the peaceful gardens adjoining Bersantai Day Spa. Suitable for groups of up to 40. Nestled comfortably between rolling hills, you’ll find the Castaways Glam Camping Village, a unique group glam camping venue suitable for 12 – 48 guests. Facilities include an onsite host to accommodate your event, outside bar, sheltered stone fire pit which ignites at the click of a button, tantalising wood fire pizza oven, expansive outdoor kitchen with spit roast and more, social and extensive lounging area with plasma television, a large dining area that sneaks hidden views towards the ocean and setting sun.